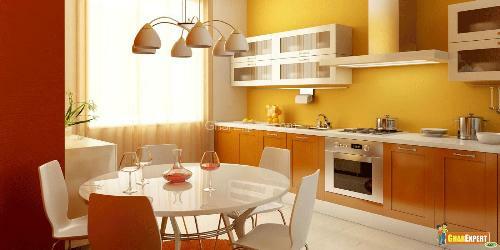 Every house wife wants to have organized, spacious and clutter free kitchen. A clutter free kitchen definitely saves your time and gives you an organized kitchen. You can enhance the pleasure of cooking by keeping your kitchen organized and clutter free. Storage is essential for today’s kitchen. You can make your kitchen clutter free by using two types of storage such as open and closed storage. Open storage includes advantage of hanging storage and open shelves. Closed storage consists of cabinets, drawers, pantries and Islands. Both open and closed storage create clutter free space in your kitchen and depend on your kitchen design. Just see some ideas on clutter free kitchen. Cabinets are the first choice to make a kitchen clutter free. They provide closed storage to the kitchen. Cabinets are very useful to reduce clutter from your kitchen but they should be organized and clutter free. Drawers are also made efficient storage for kitchen. 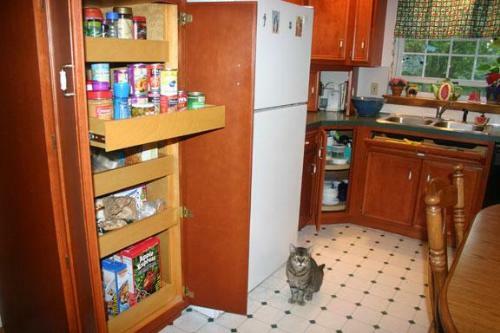 They are easier to access than cupboards and help to organize clutter in kitchen also. Pull out drawers are used in modern style kitchen. 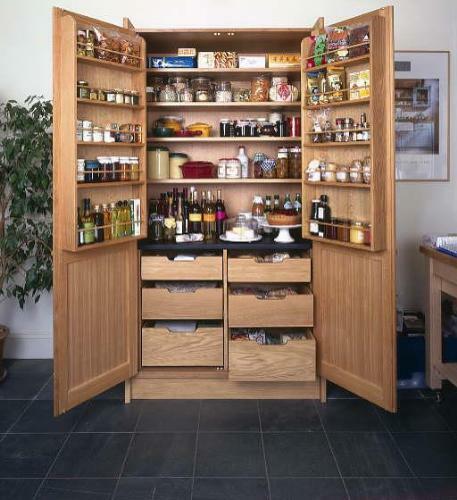 Kitchen pantry is used to store food items organized and easy to access in your kitchen. It should be organized and divided into parts according to food items such as canned food, grains, root vegetables, oils and sauces, baking supplies, prepared food and snacks. The place where you put pantry should be cool and dry. Note: Clean your kitchen cabinets, drawers and pantries regularly and throw out food that you think has become harmful to eat and you don’t need or use it anymore. Kitchen Islands are good to use space if you have a big kitchen. Kitchen Island is not only used as a table but it will also include sink, counter top and cabinets for storage as it will make your kitchen clutter free. 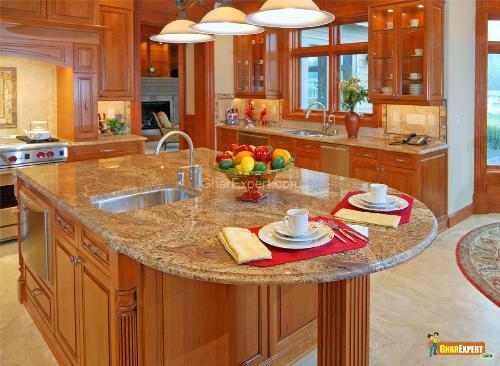 Nowadays two types of Kitchen Islands are available such as attached Kitchen Island and portable Kitchen Island. Both Islands are useful to make the kitchen clutter free. You can use an attach Kitchen Island in big kitchen and portable Kitchen Island for small kitchen. 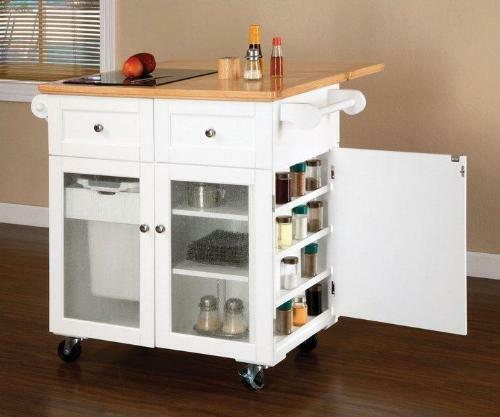 Portable Kitchen Island is easy to store things and you can store it under your kitchen countertop. Hanging storage is a good example of open access storage and helps in making kitchen clutter-free. Hanging storage always helps you save the floor and space of worktops. Hanging storage provides a look of loft and country style to the kitchen with clutter free appearance. Rails, racks and hooks are some hanging storage in the kitchen. Rails provide clutter free kitchen and have advantage of hanging storage in the kitchen. Fix a steel rail along wall above worktop. It can be used as storage for utensils easily. You can also use butcher hooks instead of rails if you think it is necessary. Some people find racks easy to access than anything you place in the kitchen. 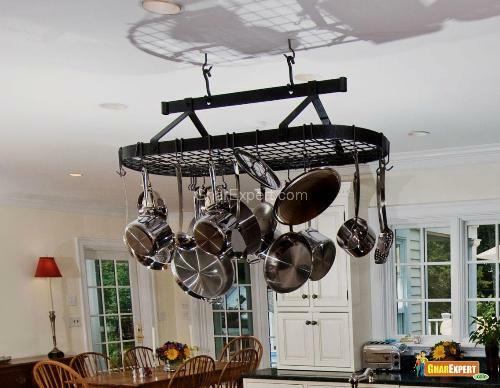 You can opt for a wall or ceiling hung rack to store larger items of kitchen, such as pans wasted overhead space. Place wall rack along the wall to store plates, bowls and upper area for full-size utensils. Racks will always help to make your kitchen clutter free and provide your kitchen loft or oriental style. Keeping air conditioner in good state is essential to get comfort from scorching summer. This keeps our body and mind refreshed besides keeping the room cool. This article gives you important tips on how to maintain your air conditioner.